Ovens are one of the most important commercial kitchen appliances since they are used around the clock by food businesses. Making an informed choice in purchasing this appliance is difficult since a huge amount of seemingly similar commercial oven types exist on the market. 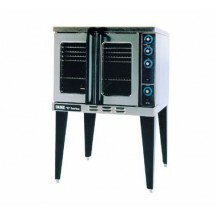 However there are crucial differences which any professional should be aware of before deciding which oven to buy. 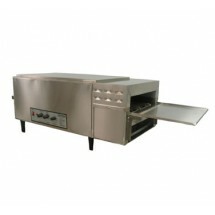 A high-end commercial oven often has features that set it apart from the typical conventional oven.Aconventional oven can efficiently cook and heat foods for service in a restaurant kitchen. 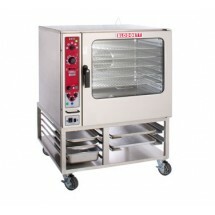 However, more specific commercial oven options can be used for preparing certain products or multipurpose cooking, depending on the oven. A conveyor oven, for example, can be programmed to work at a certain speed, making it ideal for worry-free cooking of foods like pizza upon service, since each pie will cook perfectly when the conveyor oven is set to the right speed and temperature. 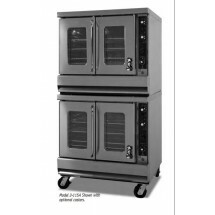 A combi oven combines the benefits of a steamer and a convection oven, minimizing the commercial kitchen appliances required, and making it ideal for a small restaurant kitchen. By researching oven reviews to understand the capabilities and limitations of the commercial oven models available, businesses can make educated decisions about the best commercial oven for them.